The nosedive in a pressurised environment has been alarming, the stalling notable, and the angle of approach appears to be in need of correction, but that's where the similarities end. This is no Boeing crisis; Irish rugby is not in freefall. Brash, uninformed and attention-seeking bluster inevitably trails behind underperforming sports teams like a bad smell - it doesn't come from a good place and should be treated accordingly. The Ireland rugby team have drifted off course but their desired destination is still a realistic goal. Extensive re-engineering is not required, tightening up in a few key areas should do the trick. Joe Schmidt's side were unexpectedly out-fought by Welsh and English teams who made hay by playing the game on the edge, by bending the laws as far they could, and Ireland need to learn from that. If you can't beat them, join them - and if that requires us to be more cynical, then so be it. Discipline is a buzz word in Joe Schmidt's Ireland camp but when you consider how well England and Wales slowed down the ball, pushed the offside line, closed the gap in the lineout, impeded kick chases, and disrupted mauls, for example, and largely got away with it, then perhaps we need to follow suit a bit more. It may sound simplistic to highlight the lack of a hard edge in Ireland's play but it was glaringly obvious in those two Championship-defining games. We have the personnel to dominate any team in the world if the attitude is right, so that must also be rectified. The All Black aura demands focus and respect. There is a fear there, a fear built on history, culture and status quo. You know you always have to be at your best to have a chance against New Zealand, and that underdog scenario sharpens the mind like few other sporting challenges can. Maybe Ireland, as Grand Slam champions, just didn't fear the Six Nations enough. If you're not at your best in this game, particularly when you consider how closely matched the likes of England, Wales and Ireland are - that was the case in November and remains the case now - you can get shown up pretty emphatically. For me, one of the most disappointing aspects of this Irish team's Six Nations was the lack of on-field leadership. You have to self-police in rugby, it's the nature of the game. Even our coolest, most-experienced players got stressed by the heat of the Six Nations, and on those highly-charged, emotive occasions, it doesn't take long for panic to spread. Mentally, with the World Cup clearly the 2019 priority, it is difficult to juggle so many balls at once, for players and staff. The team underperformed and it is fair game to be critical but equally, perspective is key at times like this. Four years ago, despite being crowned Six Nations champions with four wins from five - beating England at home but losing 23-16 in Cardiff - Schmidt was criticised by some for giving too much weight to the spring. Considering how the autumn played out, although admittedly Ireland were very unfortunate to be shorn of so many key men against Argentina, those fears rang true in Cardiff. Ireland used 29 players during their 2015 Six Nations campaign and won one game more than 2019, when 36 different men wore green - many gaining valuable experience for the months ahead. While a repeat Grand Slam was obviously the goal, this Six Nations has been a valuable learning curve, and it is worth remembering that repeat clean sweeps have not been achieved since the Six Nations came into existence - France in 1998 being the last team to achieve the incredibly difficult feat. The demand for Ireland to start playing off-the-cuff, offloading rugby six months out from a World Cup is foolish and unrealistic. We scored 14 tries in this year's Six Nations, four more than Wales, a total only bettered by England. Ireland also beat 27 defenders on average a game compared to Wales' 14, while those who think that offloading has become king in the modern game may care to note that the three sides with the most offloads in the Six Nations were France, Italy and Scotland, and in that order. Calls for an overhaul of Ireland's attacking ethos are premature in my opinion, although our counter-attack could do with some attention. Ireland's game-plan may look systematic at times but when executed correctly it remains effective. And it's not as if Ireland can only score using one-out runners. Schmidt has engineered a number of successful strike plays off first phase in Ireland's last two international windows. Some are calling for Ireland to play a bit more, but I would like to see them go the other way; kick from 10 more frequently and try to squeeze the opposition territorially rather than racking up the phases in our own half, particularly if we are not making ground with our carries. The absences of Dan Leavy, Iain Henderson and Robbie Henshaw reduced Ireland's combative capacity in recent weeks and you would hope that all three will be back to their physical peaks in time for September's trip east. 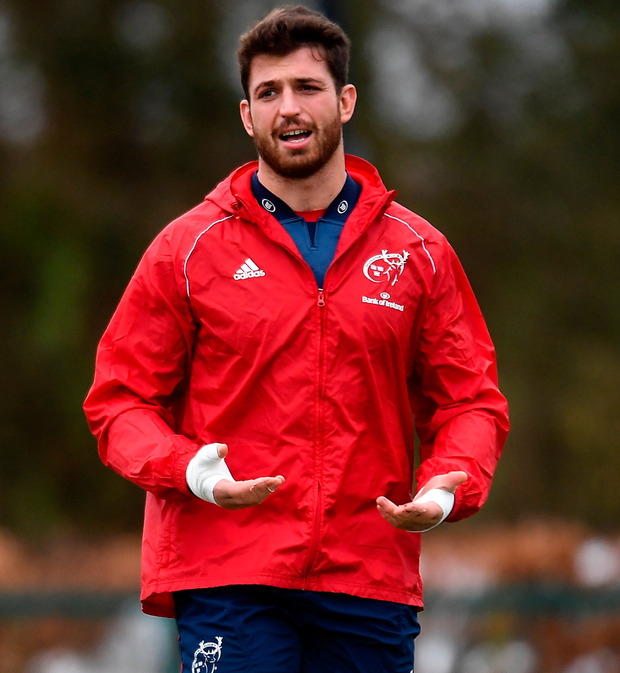 Another who could bring some extra grunt to the Irish picture is Jean Kleyn, who will be Irish-qualified in time for the international rugby showpiece and could add a different dimension to our engine-room options. You can be certain that Joe and his management team will be analysing the performances of all relevant parties for their provinces over the next nine weeks with a fine-tooth comb, relaying messages to players as the season heads into the final straight. Positive finishes to the season for all four provinces, that should include at least two knockout games for each, would be ideal from an Irish perspective - you want to see the key men such as Johnny Sexton and Conor Murray playing well again when the pressure is on. The Six Nations was disappointing. In truth, it never really got going for us after the confidence-shattering opening day. However, suggesting that the cause for Ireland's underperformance is solely down to this or that is naive and blinkered. The 2007 Ireland World Cup squad was one of the best groups of players I was ever a part of, and yet we couldn't string a few passes together when it mattered - and I still don't know why we didn't perform as well as we could have. There are a lot more complexities and variables involved than people on the outside seem to realise. But in terms of 2019, very little has changed. Scotland, Samoa and Japan will still pose a threat in the group, and a likely quarter-final against South Africa or New Zealand still looms as a massive yet exciting challenge. This is not a time to wing it or press the panic button. It's been a turbulent couple of months for this Ireland side but they have the talent, and know-how, not to mention one of the best coaches in the world, to emerge from this rocky spell still capable of scaling new heights.